Rhubarb … it’s one of those mysterious ingredients in the produce aisle. Not being a regular “baker” it doesn’t call to me. My friend Lynn grows it and cooks with it a lot. Particularly making the ubiquitous Strawberry Rhubarb Pie that my step-daughter Elinor adores. So when I decided to highlight it this week, as it’s in season, I wondered how I could make it savory? The bunch I brought home was picked up at the Chappaqua Farmers Market from Madura Farms. The leaves are poisonous, and typically are removed by the time they get to the store. However, if you are harvesting yourself, be sure to throw them away! If the stalks are really thick you can remove the outside strings by peeling them with a small paring knife. The texture of the stalk is similar to celery, the flavor however, is a different story! 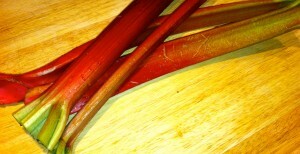 The flavor of rhubarb is distinct and remarkably tart. 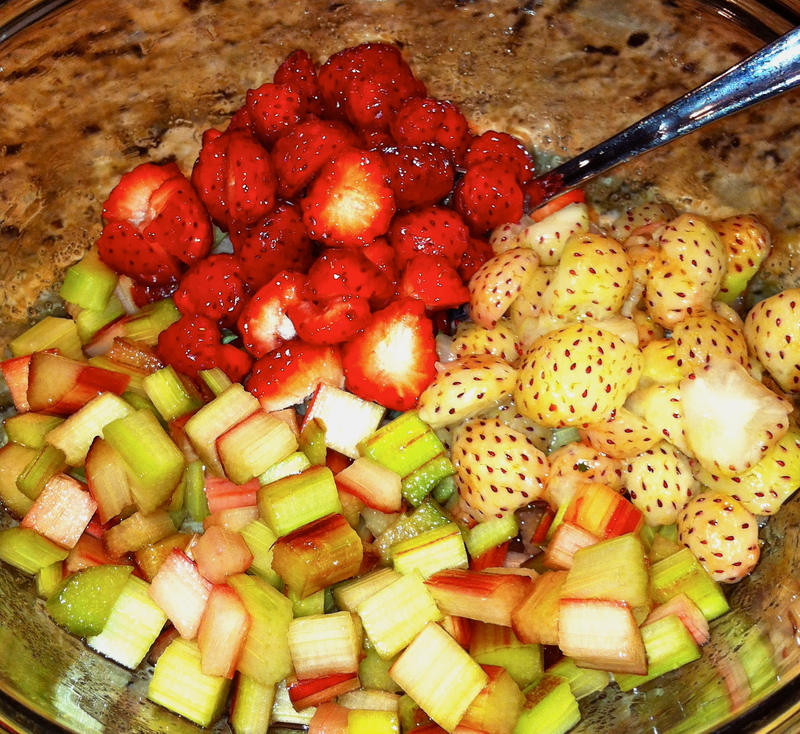 In desserts it’s typically macerated with sugar and paired with strawberry to balance its bite. 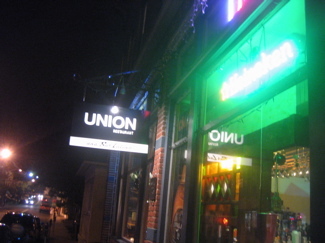 (We’ll get to that in a minute.) So how do incorporate it another way? After a quick perusal of my cabinet I came across some red lentils. Maybe a stew? One of my clients that I cook for has a child that was, up until recently, a vegetarian. So a few years ago when I started cooking for them I needed to make a lot of vegetarian dishes every week. I picked up Mark Bittman’s tome on all things vegetable, and it has been my go-to reference for many, many ingredients. Happily to my surprise he has a Dal recipe using red lentils, with the suggestion of adding rhubarb! His recipe is below, but I can tell you now this could not be an easier dish to make. You basically put everything together in the pot, add water and let it all cook together to create a creamy spicy stew. Dals are typically found in Indian cuisine, made with lentils and served over rice. 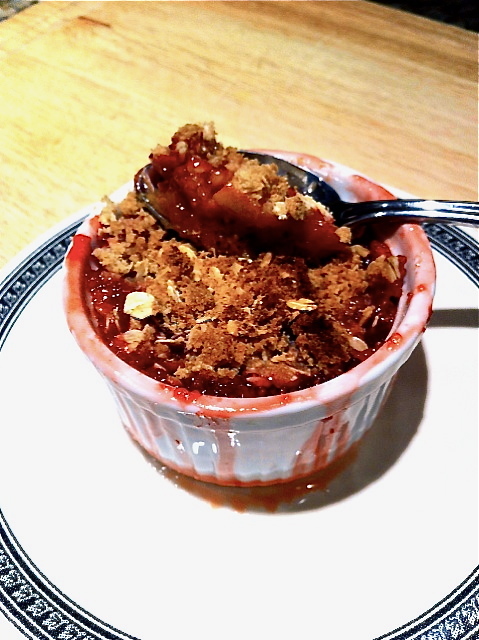 I’m sure you’re saying, “Come on Maria, where is the rhubarb dessert?” All right … here is just about the simplest “crumble” dessert you can make. 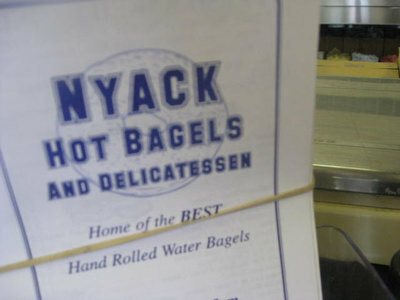 (The recipe is below.) I found these incredibly amazing strawberries at Tarry Market. 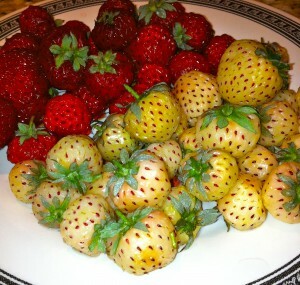 The white ones are called Pineberry and the red ones are Strasberry. Really beautiful and luscious. The pineberries taste like a cross between a pineapple and strawberry. The strasberries are wild strawberries that resemble a raspberry. They don’t taste like them, just a similar shape. 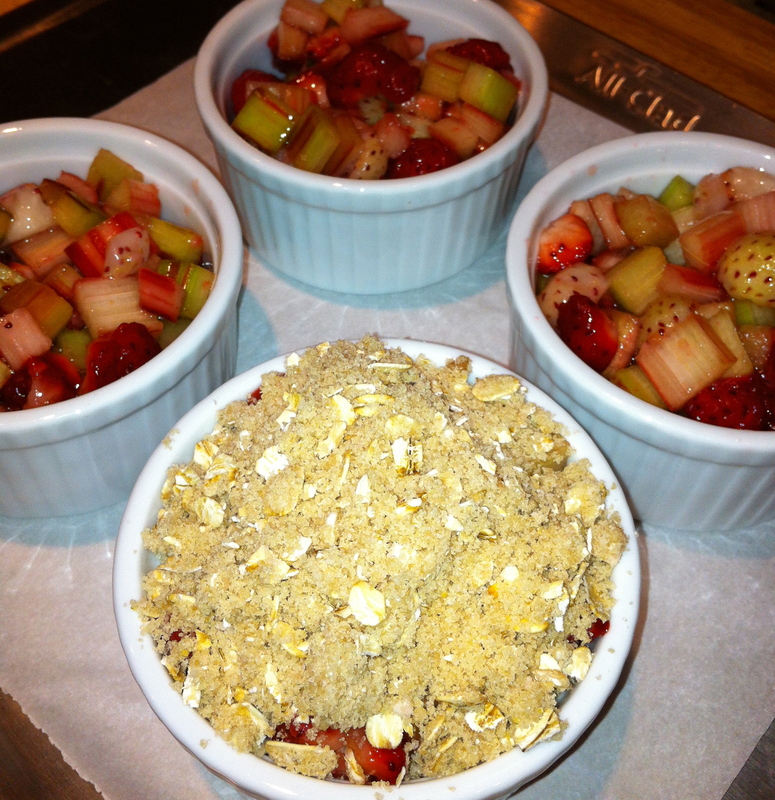 After macerating the rhubarb in some sugar, I added the strawberries and a little flour. A simple crumble topping of butter, flour, brown sugar and oats. Place in ramikens and bake for 20 minutes. How easy is that? I hope I’ve enticed you to purchase some rhubarb this weekend. It’s relatively inexpensive, readily available and super easy to use. After you get a nice thick consistency remove the cloves and cardamom and stir in the butter. I tossed in a little cilantro too. 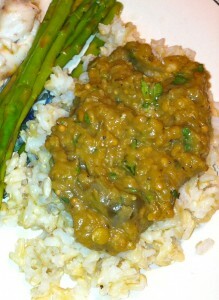 You can serve this over the rice of your choice warm or over a nice piece of crusty bread at room temp. 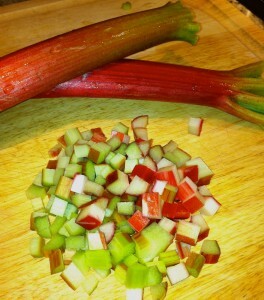 In a small bowl mix the rhubarb and sugar. While the rhubarb is macerating clean and quarter the strawberries. 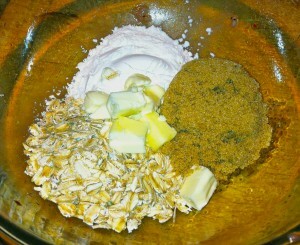 Add to the bowl along with the flour and mix well. 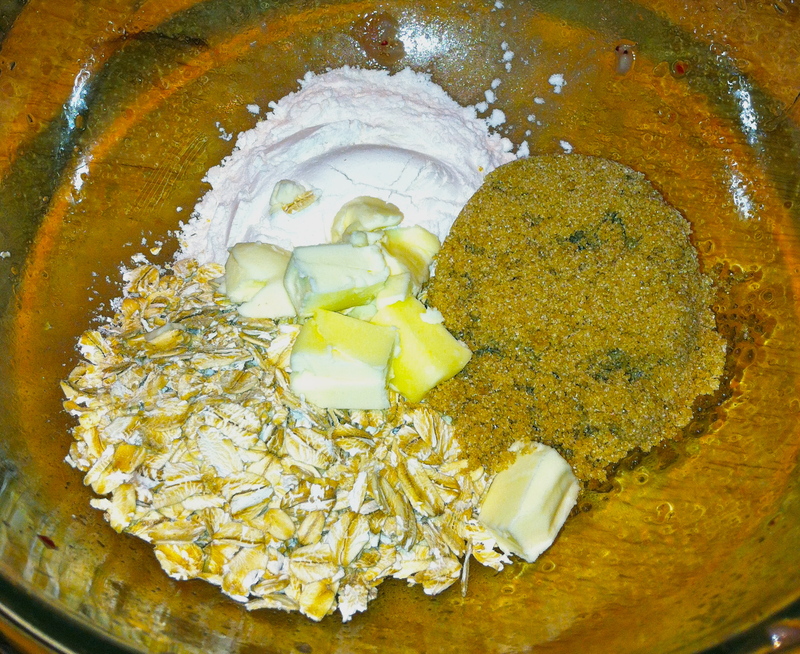 Combine the rest of the ingredients working the butter into the mixture with your fingers. Divide the fruit between 4 ramekins and top with the oat mixture. Place on a cookie sheet lined with parchment or foil. (The mixture is going to bubble over.) Bake for 20 minutes. Remove and cool slightly. Top with ice cream if desire. Yes, rhubarb is a wonderful ingredient, probably underused. I must say, however, don’t peel it, even if it’s a little older. You lose the beautiful red color. Your red lentil dal with rhubarb dish is a creative use of rhubarb, but even as a savory dish, doesn’t it need something sweet to offset the extreme tartness of the rhubarb? I hope you will be doing a cooking demo soon. Please let me know. 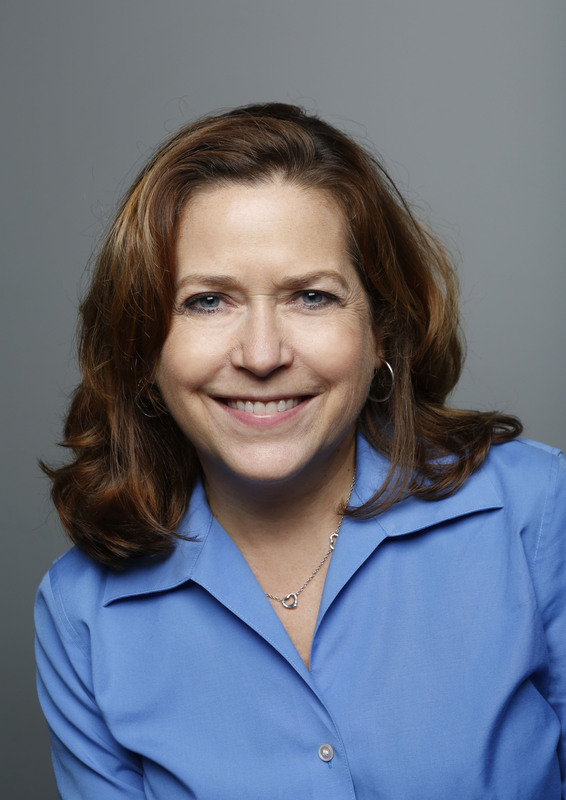 Hi Phillis, Thanks for commenting! 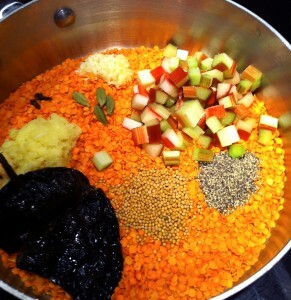 No, the rhubarb cooks down beautifully and almost disappears into the dal. The tartness is smoothed out and adds a lovely dimension to the dish. I do have some demos on the calendar for June. You can find the information on website at: http://www.bellacucinamaria.com, under the Farmers Market tab.